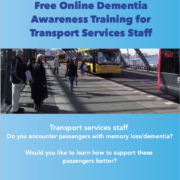 Dementia Training Programme for Transport Service Providers now available! This innovative programme will give transport services staff an understanding of what it means for passengers to live with dementia, and will provide some basic communication skills and strategies which could support them to use transport services. It was developed in close consultation with staff working in the transport services sector as well as people living with dementia. The training is interactive and engaging and is divided into 5 short modules. What a dementia friendly physical environment looks like. 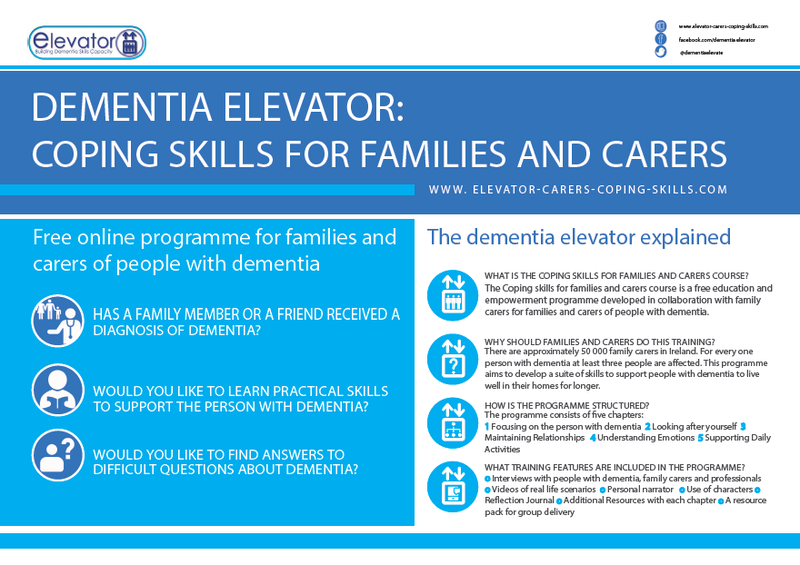 http://dementiaelevator.ie/wp-content/uploads/2017/03/elevator_transport.png 923 659 de_admin http://www.dementiaelevator.ie/wp-content/uploads/2013/10/logo_340x156.png de_admin2017-03-19 14:08:152017-03-19 14:08:15Dementia Training Programme for Transport Service Providers now available! 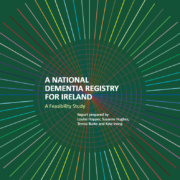 A new report by the Alzheimer Society of Ireland and DCU on the feasibility of a National Dementia registry for Ireland was recently launched. It can be downloaded here. Applications now open for the next DCU Dementia and Everyday Ethics module. Closing date is the 14th of December. Graduates will have a theoretical and practical grounding and the ability to recognise situations in everyday dementia care that are ethical in nature and be able to guide colleagues in a helpful manner through decision making. For more information on the module and how to apply click here: Dementia and Everyday Ethics Flyer. 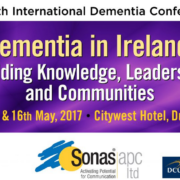 Applications now open for the next DCU Dementia Champions module. Closing date is the 14th of December. A dementia champion is someone with excellent knowledge and skills in the care of people with dementia. A champion is self-motivated and motivates others, acts as a role model in the delivery of person centred care, is an advocate for people with dementia and a source of information and support for co-workers. 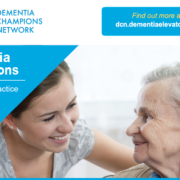 For more information on the module and how to apply click here: Dementia Champions Flyer. The team covered 1,176 km and a total of 1,000 people attended the different Roadshow events. Feedback from the people we met was generally positive and the trip generated significant interest and demand for the training on offer. We really enjoyed meeting the people dealing with dementia in local communities and learned a lot from them along the way. We have returned from our trip happy to have made these first steps, but convinced of the need for increased local supports to make ageing in place a more viable option for people with dementia. 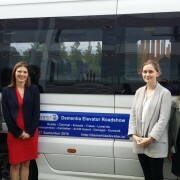 You can find out more about the Dementia Roadshow by reading Dr Kate Irving’s blog, which describes each stop along the way: kates-dementia-elevator-roadshow-blog. The Dementia Showcase took place on 20 September 2016 at DCU. The event was a collaboration between Dublin City University (DCU), the Health Services Executive (HSE) and The Alzheimer Society of Ireland (ASI). 270 people attended the Showcase, which highlighted the training initiatives developed by the project, as well as other resources available to people with dementia and their carers. There were many highlights in the day’s agenda. An interesting panel discussion was expertly chaired by Prof June Andrews. 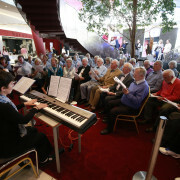 We also enjoyed a lively performance by The Forget-me-Nots choir, from Baldoyle (pictured above) and E-Gress, a moving artwork by Irish artist, Marie Brett and Musician, Kevin O’Shannahan. The event was a great success – many thanks to all involved in organisation behind the scenes. 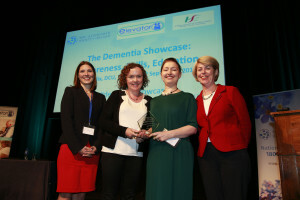 The winners of the 2016 Innovation in Dementia Award were announced at the Showcase. Sincere congratulations to Mary Walsh and Aideen Lawlor, St Mary’s Hospital, Co. Dublin for their project – Becoming active participants in decision making through improved communication. The winners received €1,000 to help promote this worthy initiative which involves the use of ‘talking mats’ to promote decision making capacity for people with dementia. 20/09/2016 – Winners of the Innovation in Dementia Award 2016 with Dr Kate Irving (DCU) and Mary Manning (HSE). Photograph Nick Bradshaw. 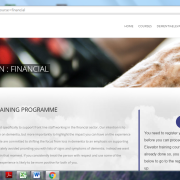 Dementia Training for Financial Services – Available now! 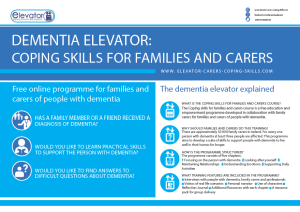 The Dementia Elevator team are delighted to announce that the Dementia Awareness Training for Financial Services is now available. It is intended that this training will provide staff working in financial institutions with some awareness and skills to better support customers living with a type of dementia. The training is completely free and can be accessed on this website here. The programme aims to be interactive and engaging, using filmed scenarios, exercises, an online forum and a quiz. It was developed in close consultation with staff working in the financial services sector as well as people with dementia. An overview of the content is set out below. The impact of stigma and diagnosis. Basic skills and strategies to support a customer with possible dementia. The question of financial abuse. 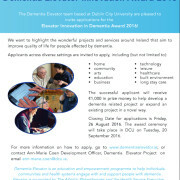 http://dementiaelevator.ie/wp-content/uploads/2016/06/financial-programme.png 768 1366 de_admin http://www.dementiaelevator.ie/wp-content/uploads/2013/10/logo_340x156.png de_admin2016-06-29 11:37:142016-06-29 11:37:14Dementia Training for Financial Services - Available now! 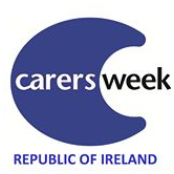 This week is National Carers week – 13th-19th June. If you are caring for a person with dementia or know someone who is, why not have a look at our free, online training programme Dementia Coping Skills For Families and Carers here. You can also find out more by downloading the poster below. The Elevator Programme is supported by Atlantic Philanthropies and the Health Services Executive.